landmarks in the 15th., 17th. and 19th., centuries, before restoration. the Parthenon and the Propylaia in the nineteenth century. of the Acropolis and Areios Pagos in Athens, by Leo von Klenze, 1846. The British Museum on Twitter only follows back about 5 % of those who follow them, but they do follow us! brings the total number of followers of our 2 accounts combined to 2,527, up from less than 2,000 only 3 months ago. the latest in a long line of generations of great historical Greek linguists who over the centuries have compiled the world’s greatest classical Greek dictionary, the Liddell and Scott Greek-English Lexicon. 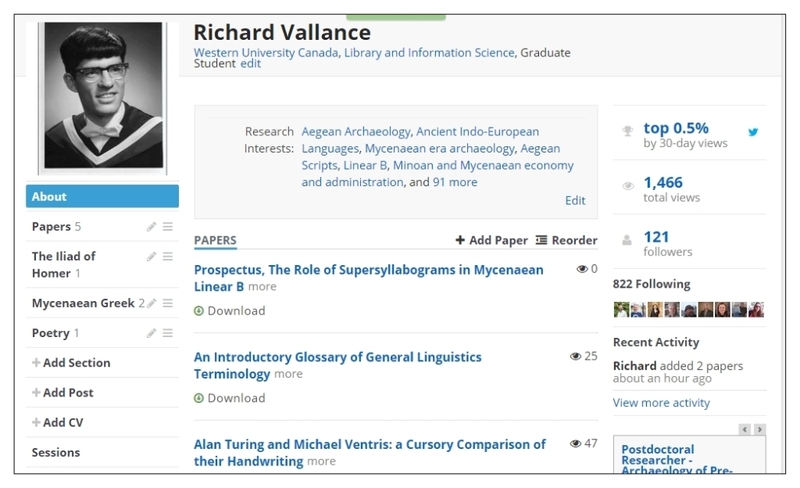 is having a profound impact on the vast field of diachronic historical linguistics, especially the decipherment of ancient languages, most notably Mycenaean Linear B, Arcado-Cypriot Linear C and even Minoan Linear A.  MLALBK&M has in effect become the premier diachronic historical linguistics site of its kind in the world in the space of less than 4 years. This composite of two maps of the Mycenaean Empire with major cities and other settlements names the major cities in the upper coloured map. I originally posted the lower map in 2014, but I felt it was high time to post it again. Being as thorough as I am, I have identified more city and settlement names on the lower map than on any other map of the Mycenaean Empire on the Internet. Note also the greatest extent of the Mycenaean Empire (ca. 1600 – 1200 BCE) in pink. Here you see the first 3 photos of the Bull Portico photos, Third Palace, Knossos, Late Minoan IIIb (ca. 1450 BCE). The architecture is simple, but magnificent. The fresco of the bull is stunning. The bull was the standard symbol of almost all ancient Occidental civilizations, and that of Persia as well, until later into Antiquity. I wish to draw your attention specifically to the incredibly accurate circular designs on the frieze. As with all Greek architecture, the proportions are absolutely perfect, from one circle to the next. 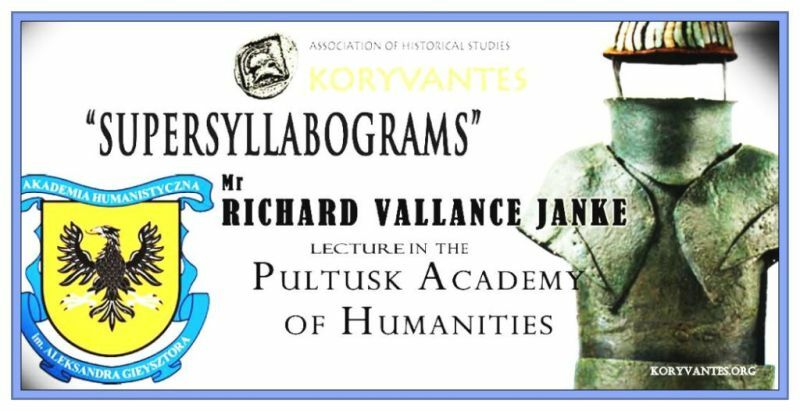 Prospectus on my Presentation, “The Rôle of Supersyllbograms in Mycenaean Linear B”, exactly one month from today. Our working hypothesis for Rita carefully considered translation of Knossos tablet KN 1507 E d 231. Before proceeding to the genesis of our hypothesis for a realistic and practical translation of this very tricky Linear B tablet, allow me to inform you all that Rita is now being confronted with mind-bending challenges in the decipherment of really difficult Linear B tablets. Had I known this when I initially assigned Rita this tablet and the next one to be posted, I would have surely left them for her first year of her university level curriculum. However, as it turns out, the fact that she had to force herself to stretch her logical powers of observation to the extreme means that she is more than ready to rise to the even more daunting challenges facing her in the next month or so, when she finally embarks on her first year of university level studies. The fact that she was eventually able to translate this tough tablet, the two of using working together, speaks to her mastery of Linear B, which is already very considerable. 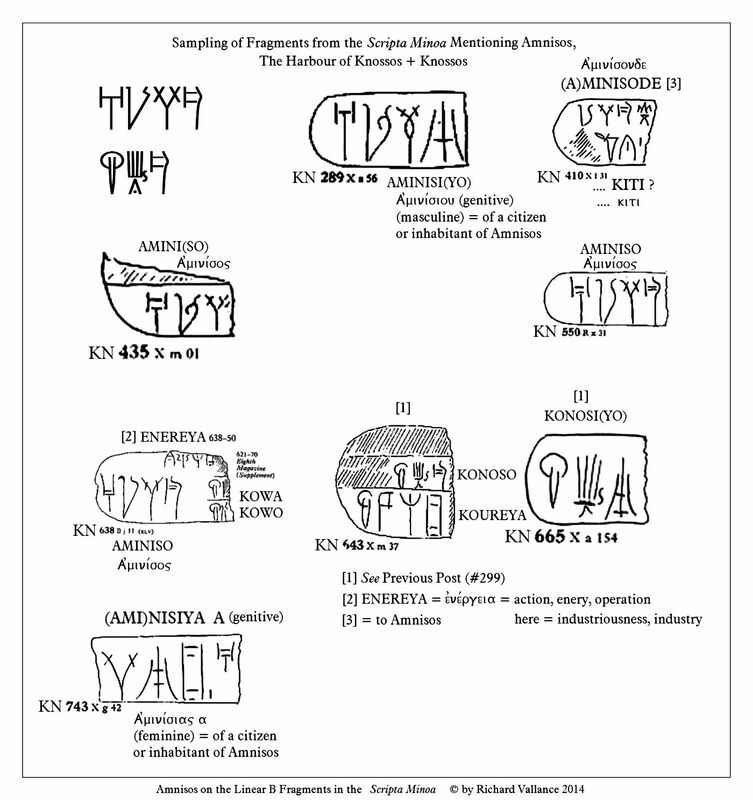 Since Linear B is first and foremost an accounting language for Mycenaean Greek, in other words, a subset of this archaic Greek dialect, we should expect that all accounting and inventorial records would have to be completely accurate, both with respect with line items and with total, zero-tolerance in arithmetical calculation in any Linear B tablet in this sphere, and that means something like 90-95 % of all tablets in Linear B, regardless of provenance. While there are quite a few tablets dealing with religious matters, meaning that in that case Linear B cannot be considered as an accounting subset of Mycenaean Greek, but must be construed as a religious affairs subset of the dialect, we leave this aside for future consideration. to those of the Middle Ages, and above all else, the much more efficient accounting and banking procedures established by the Medici family in Florence in the 14th. And 15th. Centuries AD. ALL THIS IS NOT TO SAY THAT ACCOUNTING SYSTEMS WERE IN UNIVERSAL CONFORMITY IN EVERY HISTORICAL ERA, because they were not. This is especially true of the late Medieval era and the early Renaissance, when the sloppy Medieval accounting procedures in most European nations other than Italy seriously clashed with the extremely efficient banking system of the Medici in Florence. and Ministries of Finance in the Renaissance and the 17th. (c) accounting and inventorial procedures must be completely standardized across the board, from one site to another, from one city to another and one nation to another, regardless of historical period. Otherwise, the accounting system in place in that historical era collapses for lack of complete conformity. And all too many did! See above. 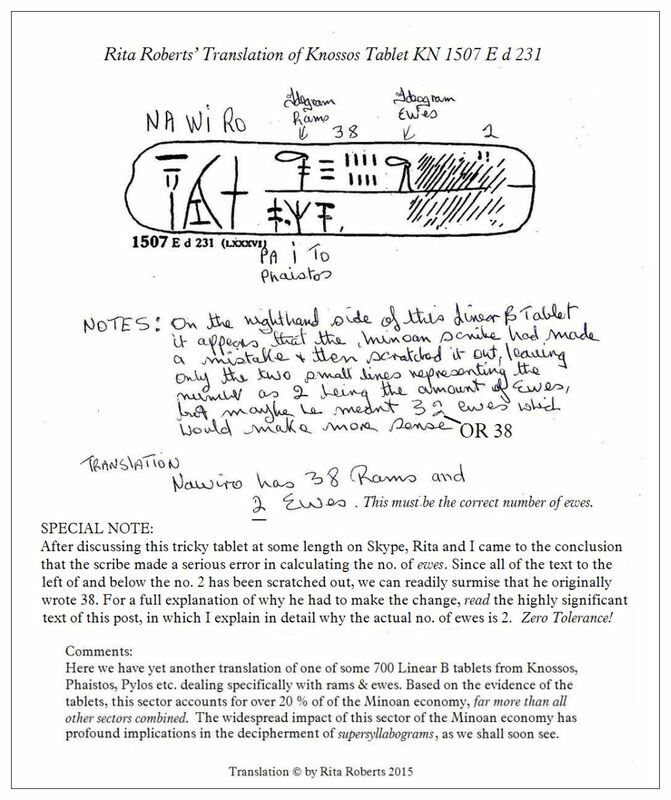 We know that Mycenaean Linear B was consistent across the board, regardless of the site were the scribes used it, whether Knossos, Phaistos, Pylos, Thebes, Mycenae or elsewhere. (d) Accounting systems, if they are be at all effective and rendered zero-tolerance, must be subject to audit, regardless of the historical era in which they are in use. Rita Roberts and I are convinced that such an auditing system was securely in place in Minoan/Mycenaean society in which Linear B was the standard language of accounting and inventory. There was a large administrative palatial accounting and inventorial office (or room, if you must insist), especially at the metropolis of Knossos (pop. ca. 55,000), in which a relatively large number of scribes (possibly 10-40) ranged themselves for their daily work along a very long table or tables, all of them on the same side of each table, for the simple reason that each of the scribes must have had each of his tablets audited, either by the scribe to his left or right, or by both, to ensure zero-tolerance for line itemization and mathematical accuracy. If scribes had been seated on opposite sides of their table or tables, it would have been much more difficult to audit one another’s inventorial tablets, as they would have had to pass their work across the table(s), thereby adding to the risk of error, when zero-tolerance is demanded. That would have been an unacceptable scenario. Think of it this way: would anyone in their right mind nowadays allow for any deviance from the standardized international online stock market system? Never! Likewise, the Mycenaean system must have been based on the same general principles, and the pretty much the same specific accounting criteria put into practice. Otherwise, the system would have collapsed. Such a system makes perfect sense, especially for Mycenae an Greeks who were, after all, Greek. The ancient Greeks were notorious for their insistence on accuracy and logic, right from the outset, all the way through to the rise of their astonishingly consistent philosophical systems in the age of Plato and Aristotle, and far beyond. 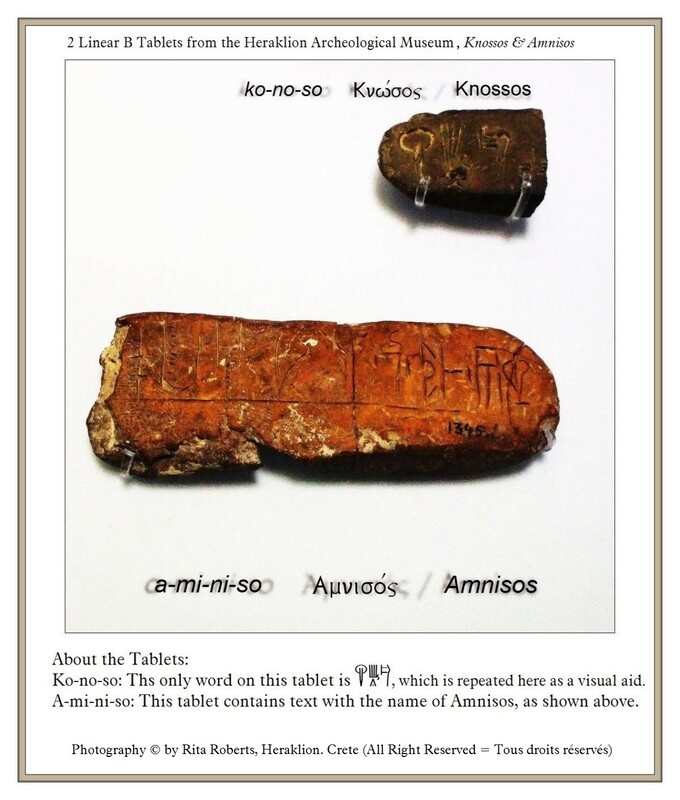 Given the strict criteria for Mycenaean accounting procedures we have proposed above, Knossos Linear B Tablet KN 1507 E d 231 must stand up to scrutiny down to the very last detail. But there are problems with it which immediately leap to the fore. The scribe has scratched out, i.e. erased all the text to the left of the and below the number 2 (if it is the number 2). What does this tell us? If we assume our hypothesis is correct, and we are pretty much convinced it is, it tells us a great deal. First, it tells us that he was aware he had made a gaffe, and a big one at that. But how did he become aware of this? He was audited by another scribe or scribes, and according to the standard office procedure we have outlined above, by the scribe to his left or right, or by both of them. Take your pick. But the principle of zero-tolerance must apply. Perhaps he fell asleep at the switch after a long day slogging through numerous accounts, and writing down inventories on at least 5 tablets. Very demanding and exhausting work. Any accountant, past or present, can tell you that. However, if the standard practice was for fellow scribes to audit every single tablet they inscribed, zero-tolerance would prevail. Well, I am done with this tablet. It is the end of a long day, and I am getting very tired. I may have made a mistake. Audit it. Hmmm. Let’s see. (reads the original figures on the tablet). Good gods, you wrote the same number for both the rams and the ewes! 38! That seems a remote possibility. Yes, you do look tired, and I can hardly blame you. What is the number of ewes? We have to get it right. Oh my gods, it is just 2 ewes! How could I have missed that! So he scratches out all the Linear B numeric strokes for tens, i.e. 3 horizontal strokes & 6 for units (vertical strokes), leaving the number 2 (2 vertical strokes). Voilà. The calculation is completely accurate. We have zero-tolerance. Good! It is fine now. Maybe we should go for a beer or two as soon as work is over, which is pretty soon. To all our VISITORS: it took me 6 HOURS to compile this complex post. Please show your appreciation by tagging it with LIKE, assigning the number of STARS it deserves, or even re-blogging it! my invitation to my blog! I was there in early May, 2012. SPECIAL MEDIA POST! 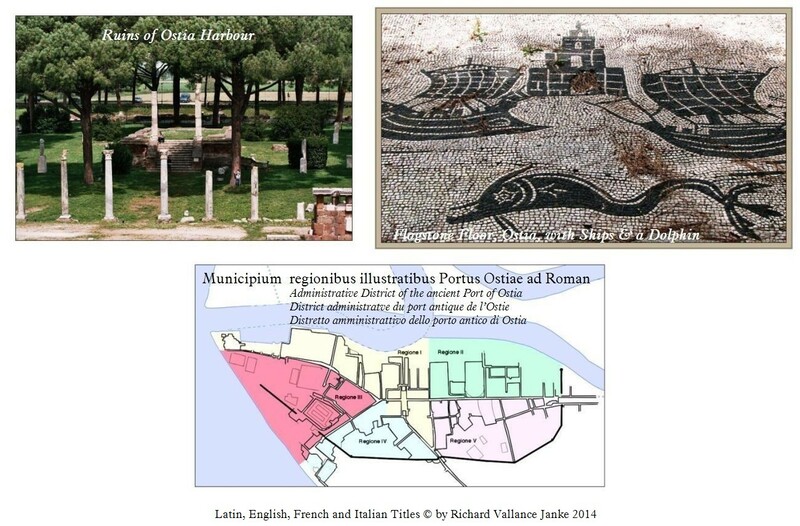 2 Linear B Tablets at the Heraklion Archaeological Museum Naming Knossos & its Harbour, Amnisos + Piraeus & Ostia! This is the first time ever that I have put my modern Greek lessons to the test, by including the title of this image in modern Greek, as well as English & French. If there are any errors at all in the Greek title, I beg one of our native Greeks to inform me ASAP, so that I can correct the error statim. SPECIAL NOTE: From here on in, whenever we post anything which largely features MEDIA (photographs, videos & films), we will tag them as such in the post Title, MEDIA POST! We are also creating a new Category at the top of the first page of our blog, MEDIA, so that you can search all archived media posts at your leisure! A few notes on this map. The capital cities, Knossos in Crete & Mycenae on the mainland Peloponnese, are flagged with a red star. The purple star beside Mycenae is also found beside the name of Troy, to indicate that the Mycenaeans conquered Troy, although quite when is uncertain (ca. 1300-1250 BCE?). Even if the conquest were as early as 1300 BCE, that would have left only another century before the collapse of Mycenae itself. In fact, what remained of the great Bronze Age Greek cities, Knossos (which had fallen into disrepair and eventually into ruins long before 1200 BCE – almost certainly no later than 1425-1400 BCE), then Mycenae itself, along with its satellite Mycenaean cities and settlements (Pylos, Tiryns, Thebes and Athens) all collapsed right around 1200 BCE. It is doubtful that they all fell on account of the Dorian invasion, since it is highly unlikely the Dorians ever got anywhere near Thebes or Athens. So this leaves the whole question of how and why the Mycenaean Empire fell so suddenly wide open to speculation. Note that all of the Minoan & Mycenaean locales tagged on this map are attested (A) on Linear B tablets from Knossos, Phaistos, Zakros, Mycenae, Pylos or Thebes. 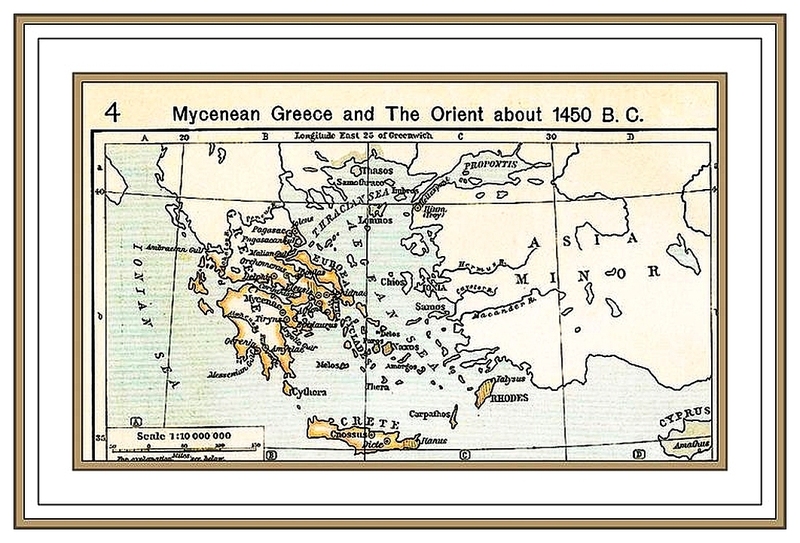 It is perfectly clear from this map that the extent of the Mycenaean Empire was as vast as that of the great Athenian Empire some 700-800 years after the fall of Mycenae ca. 1200 BCE. 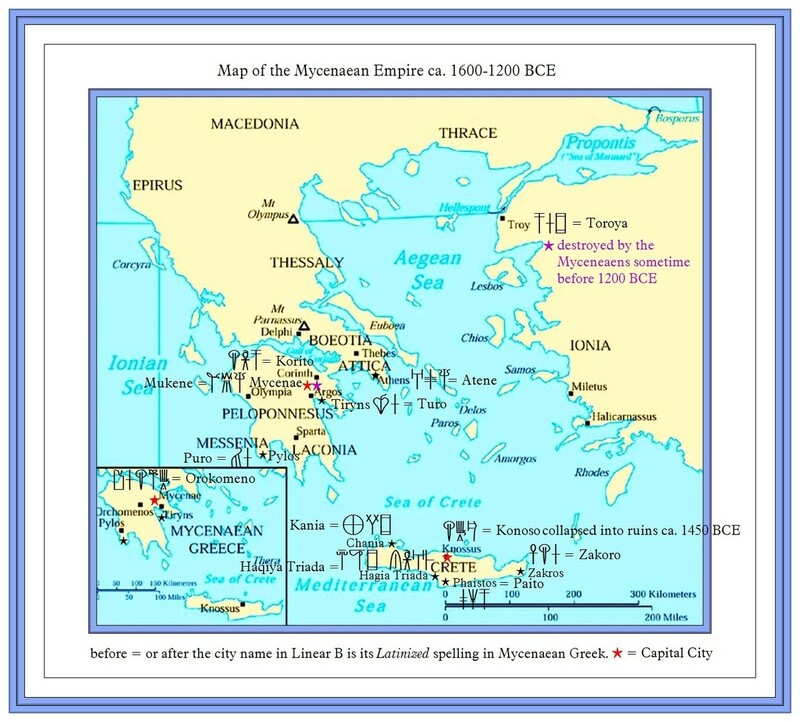 While the actual epicentres of these two great Greek empires, that of Mycenae, the earliest of them all, and that of Athens, were not the same (which goes without saying), amazingly their network of trade routes extended to virtually the same places, some very far away, especially in light of the great difficulties encountered by ancient Bronze and Iron age mariners in their little ships on the high seas. The very fact that they, the Mycenaeans,the Egyptians, the Athenians, the Romans and everyone else in the ancent world had to do all of their international trading in the spring, summer and early autumn, when the Mediterranean Sea was relatively calm speaks volumes to the wide extent and the robust economic strength of their trade routes. 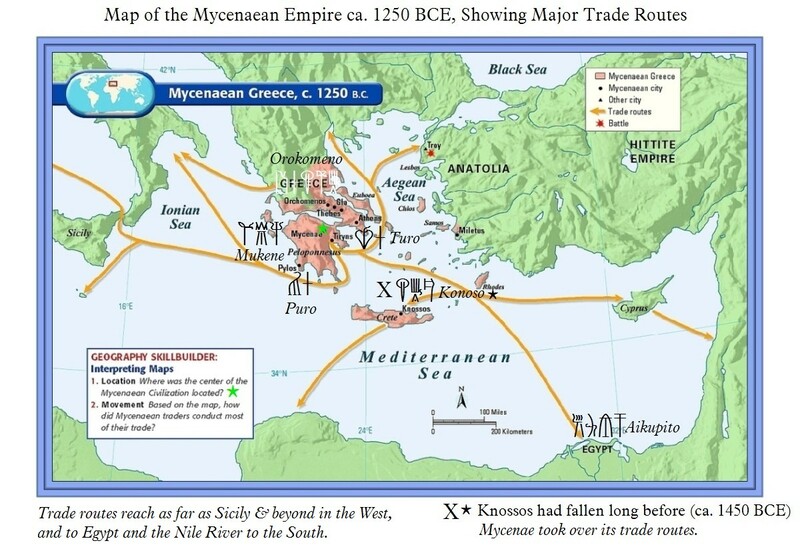 We see here that the Mycenaean trade routes did in fact reach as far as and apparently even beyond Sicily, astonishing as that seems, as well as all the way to Egypt. The Minoan Empire had previously carried on a hefty trade relationship with Egypt before them. 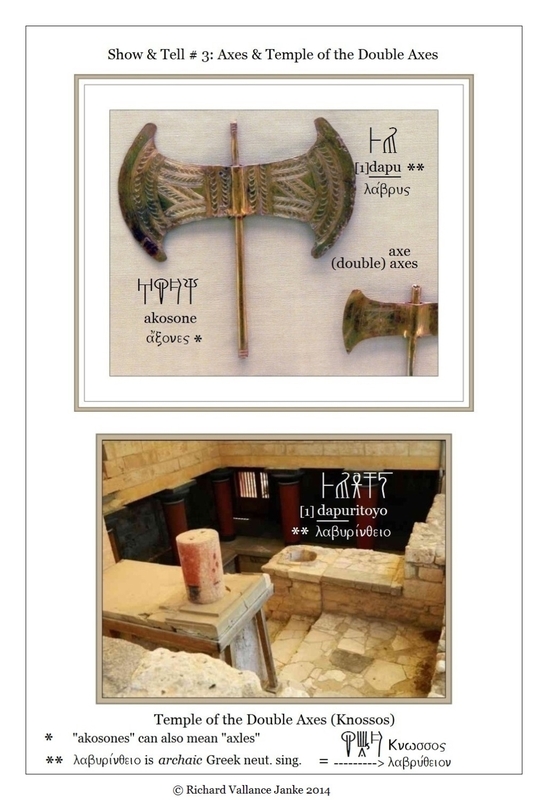 If anything, the symbolism if the “axe” and especially of the “double axe” is one of the major underpinnings of Minoan/Mycenaean religion. We find axes and double axes all over the place on Minoan and Mycenaean frescoes, regardless of site, Knossos, Mycenae, Pylos etc. If ever you visit Knossos, you will see for yourself the famous Temple of the Double Axes. Although the lower story is sealed off, if you look down, you will see a lovely frieze of horizontal double axes on the back wall of the lower story. To this day, no-one really knows the true significance of the symbol of the axe or double axe in Minoan or Mycenaean mythology. They pose a real dilemma. Since the Minoans at Knossos were a peaceable people, why would they plaster double axes all over the walls of a building which we take to be the Temple of the Double Axes (erroneously or not)? In Mycenae, however, the symbol of the axe or double axe makes perfect sense, as the Mycenaeans were a warlike people. The simplest explanation I can come up with is that the Mycenaeans exported the axe and double axe to Knossos after their conquest or occupation of the city. And no-one is quite sure if the Mycenaeans actually did conquer Knossos, or whether the two “city states” allied in order to greatly strengthen their hand as a unified Empire in the economic and trading affairs of the eastern Mediterranean and the Aegean seas ca. 1500-1200 BCE. Of course, Knossos (Late Minoan III Palatial Period) itself fell sometime around 1450-1400 BCE, but the great Mycenaean Empire persisted until ca. 1200 BCE, after which the Nordic Dorians invaded the entire Greek peninsula, the Peloponnese, leaving the Mycenaean “city states” in ruins. It is entirely probable that the Minoan-Mycenaean Empire ca. 1500-1400 BCE rivalled the Egyptian Empire in the scope of its power. Almost certainly the Mycenaeans were actively trading with civilizations along the East coast of Greece and inland, Athens and Thebes (the latter being a Mycenaean stronghold) and with the city of Troy and the inhabitants along the West coast of what we now know as Turkey. What is particularly fascinating and (highly) revealing in the historical perspective of the rise of ancient Greece is that the new Greek colonies which spread all over the Aegean in the 7th. and 6th. centuries BCE flourished in precisely the same places where the Mycenaeans had carried on such extensive trade some 6 to 10 centuries earlier! There is more to this than meets the eye, as we shall eventually discover in key posts on this blog later this year or sometime in 2015. Other omnipresent religious symbols included the Horns of Consecration at Knossos, and the Snake Goddess & the goddess Pipituna at both Knossos and Mycenae.